Dremon Cooper, 19, never thought that in a few days’ time, his videos would attract worldwide attention. Before Dremon went viral, he didn’t have Twitter and barely used Facebook. He used Instagram as a way to hone his comedic skills, something he was inspired to do after about learning about a popular social star, TaeDaTea. 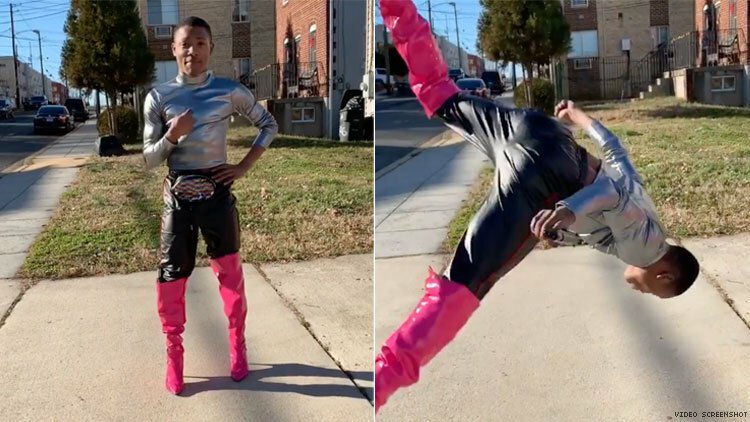 But this all changed when Dremon put on his pink boots and flipped into the hearts of people all over the corners of the internet. While it’s impossible to truly tally the views on a viral video, we do know that his clip has been viewed at least 413,000 times on Instagram and over 7 million times on Twitter. And finally, even though his videos were made in jest, it seems there’s a kernel of truth to the kind of advice he disposes right before his kick-flips: “Let them know-they can always get the combo!” he says. Talk about a New Year’s mood.